Most galleries would struggle to back up the Triennial. It was the most successful exhibition in the NGV’s 157-year history, with 1.2m people through the door (not to mention 550,000 flowers in the Yayoi Kusama room). But Director Tony Elwood has a few tricks up his well-tailored sleeve. For one thing, he’s throwing a very special collab at the end of the year: Between Two Worlds | Escher X nendo. 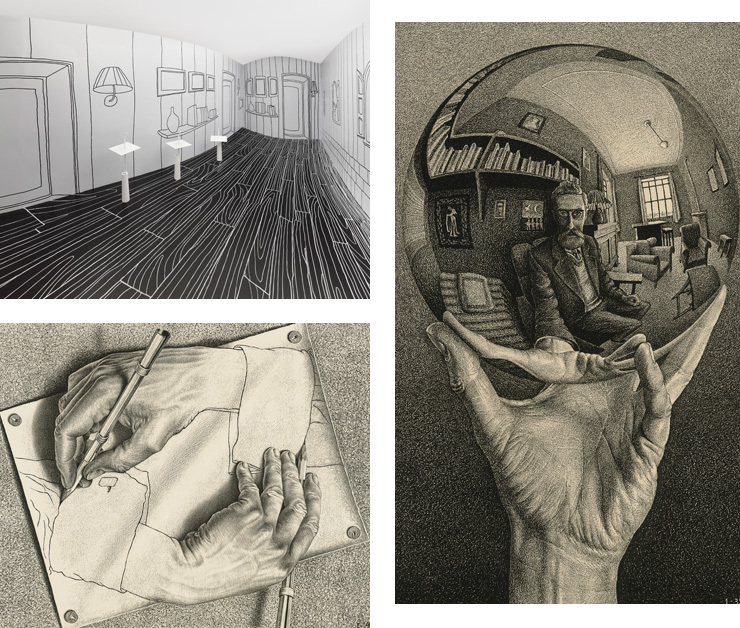 160 prints and sketches from the master of optical illusions, M.C. Escher, set in an immersive (and trippy) environment, designed by Japanese studio nendo. The collection will be drawn from the world’s largest collection of Escher’s work, flown in from Gemeentemuseum in The Hague. It’s the first time Escher’s brain-bending stuff has been shown in Aus, from his early work in 1916 all the way to 1969. The NGV are keeping nendo’s plans pretty hush hush, but basically, the idea will be to use geometry, lights, mirrors and clever design to warp your mind in a very Escher-esque way. It’s probably the closest you’re ever going to get to being inside an M.C. Escher print. Needless to say, we're pretty psyched for this one. Chuck it in the diary now.